Chances are, anyone aged 18 to 30 probably has hazy memories of going wild at an unforgettable Gold Teeth party. The brand has been selling out events all over the UK for the past eight years, with parties continuing to go from strength to strength. Gold Teeth’s tone is strictly tongue-in-cheek, abiding by the mantra “fun first, pretension never.” The resulting parties are crazy, no-holds-barred, good-time affairs. Gold Teeth’s events are headed up by resident DJs Yung Jozy & Baeb, who have sound-tracked the nights of thousands of dancers, never failing to leave a lasting impression on their audiences. The duo play B2B, perpetually pushing each other to the limit to keep the party grooving. Yung Jozy & Baeb’s sets are full of Garage, Trap, Afrobeats, Old School Hip-Hop, and everything in between. 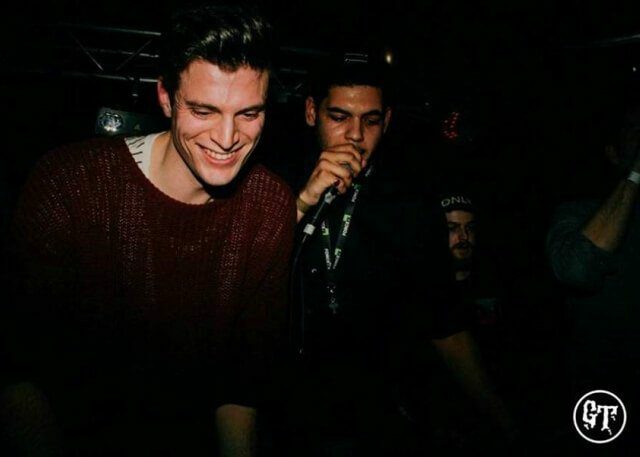 Gold Teeth’s parties go beyond the club; the brand has thrown events at many festivals over the years, including Parklife, Beacons, Tramlines, Kendal Calling, Field Day, Fresh Island, and many more. They have also supported legends like DJ Jazzy Jeff, Grandmaster Flash, Ms Dynamite, DJ Premier, Sean Paul, Mike Skinner, Skream, Talib Kweli and more, proving they have what it takes to keep up with the all-time greats. With a wide-ranging social media reach of 50k followers and a mailing list of more than 120k 18-25 year olds, GT have no problem filling venues wherever they choose to get down.